The 71st Annual Clinic, Trade Show and Clambake. 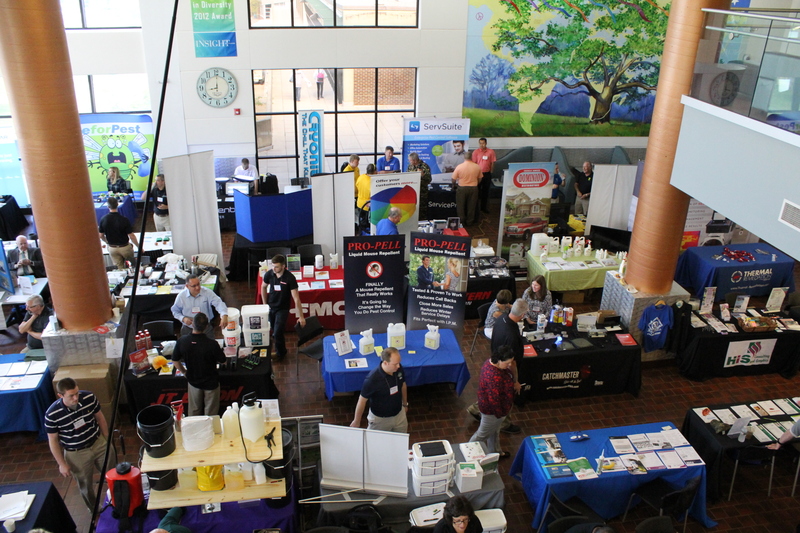 A Long Standing Tradition, The NJPMA Annual Clinic, Trade Show and Clambake will again be held at Raritan Valley Community College in Branchburg, New Jersey. Once again, the NJPMA Presents the Premiere Pesticide Industry Event of the year. Appoximately 500 pesticide professionals will arrive for a day of clinics, networking with colleagues, great food. And of course visiting with our exhibitors who will be showing off the latest and greatest products available. Beginning with our registration continental breakfast, exhibitors and attendees will have plenty of time together. In addition, a midmorinng coffee break, lunch and an afternoon pick-me-up all provide our exhibitors with plenty of face time with prospective clients. At the end of the day, everyone sits down to enjoy our traditional clambake. At that time, exhibitor donated door prizes will be awarded to those lucky few! Don't be left out of the fun, and recognition as a proud sponsor! PAYMENT POLICY - All attendees must have pre-arranged for payment before being admitted to the event. CNACELLATION & SUBSTITUTION POLICY - Registrants may cancel or substitute their reservation in writing up to 5 working days before the event and receive a full refund. ACCOMMODATIONS FOR INDIVIDUALS WITH DISABILITIIES - If you require special assistance, please notify our office when you register or no less than one week before the event. Every effort will be made to accommodate reasonable requests. CONTACT INFO: Ken Healy - Associate Director - NJPMA ken@njpma.com or 973-994-2331. Primary Registration includes: One 3'x6' Table (incl. electricity - Must Be requested in Advance) Free Parking, Morning and Afternoon Coffee Breaks, Lunch and The Clambake for 1 Representative. Additional Representative Passes and Tables may also be purchased at an additional cost. An exhibition area will be available for exhibitors to set-up display tables beginning at 630am. The exhibition area will be open during registration, coffee breaks, and lunch. dismantling of the displays will occur by 3:15pm. Exhibitors must bring their own electrical cords and surgre protectors. RVCC will provide standard elecgtrical outlets only. III. All booths must be completely set-up by 745 am, and removed by 315 pm. By clicking Register Now!, you Agree to All Terms and Conditions as laid out above ny the NJPMA. Download a Copy of the Days Event Schedule and a Map HERE. Click HERE to see an interactive map of the RVCC Campus. Our General Sessions will be held in the Library/Theatre. Break out sessions will be help in the Conference Center. And of course our Exhibitors and food will be located in the College Center / Cafeteria. Be sure to use the Second Floor Raised Walkways between buildings.